Hawaiʻi Island Police arrested 20-year old Brennon Hollis when he turned himself in at the Kealakehe Police Station this morning. The custodial interference case that he was wanted for questioning in remains under investigation. 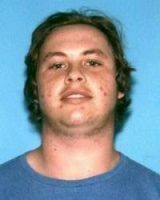 Hawaiʻi Island Police are asking for the public’s assistance in locating 20-year old Brennon Hollis of Kailua-Kona who is wanted for questioning in a Custodial Interference investigation. He is described as 6-feet tall, weighing about 200 pounds, with brown hair and brown eyes. Anyone having information on his whereabouts is asked to contact Detective Calvin Delaries Jr. at (808) 326-4646, ext. 304, via email at calvin.delaries@hawaiicounty.g… or to call the Police Department’s non-emergency number at (808) 935-3311.